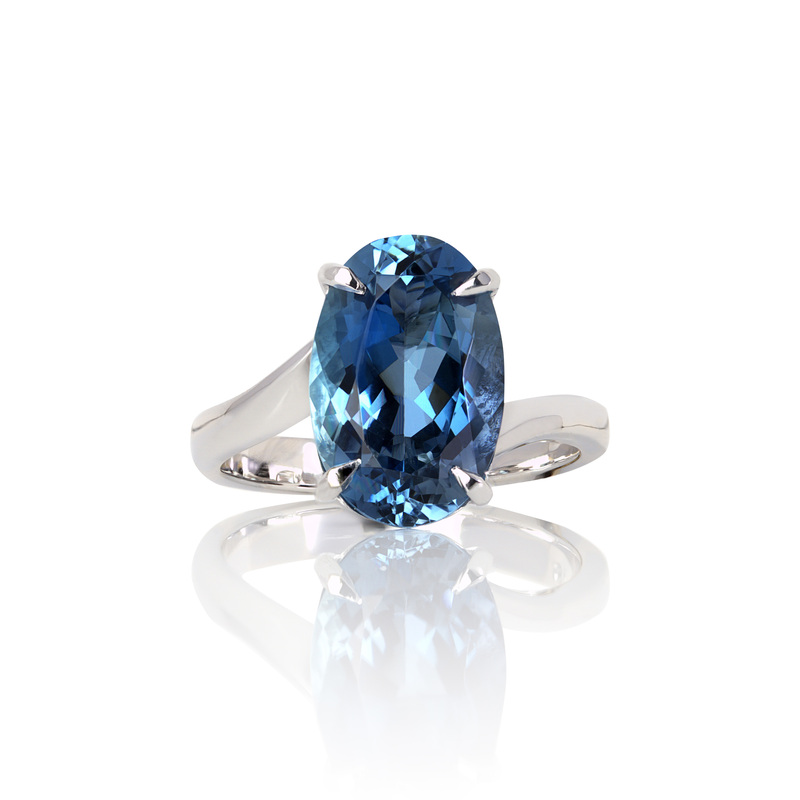 A coloured gemstone can reflect your personality, from the oceanic blues of an aquamarine to the vibrant colour of a hot pink spinel or depths of red in a ruby. 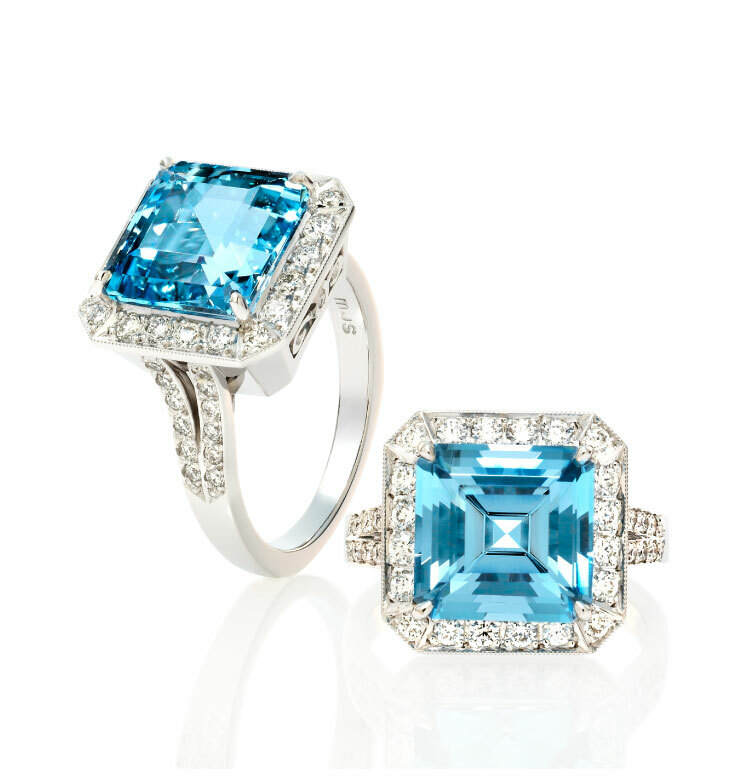 Coloured gemstones lend themselves to be featured in cocktail dress rings, vibrant pendants, striking earrings. 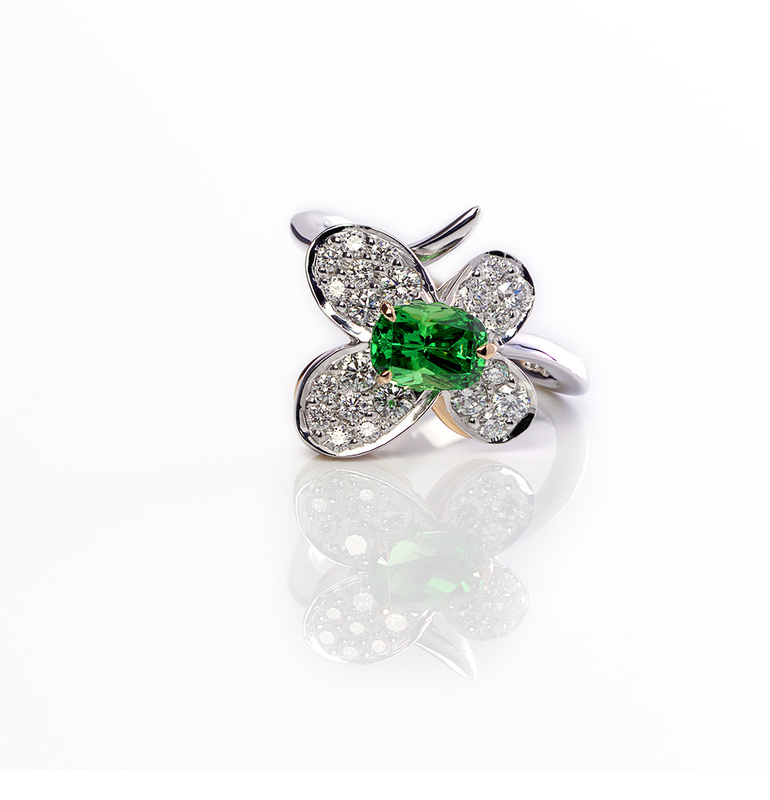 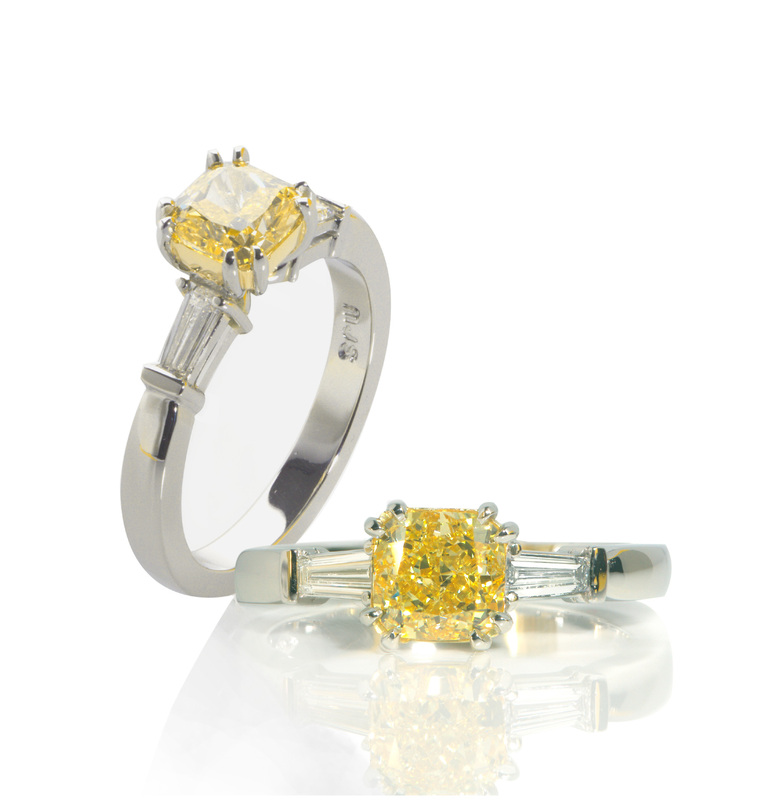 Matthew is a trained gemmologist (FGAA), and has a clear passion for the world of coloured gems. 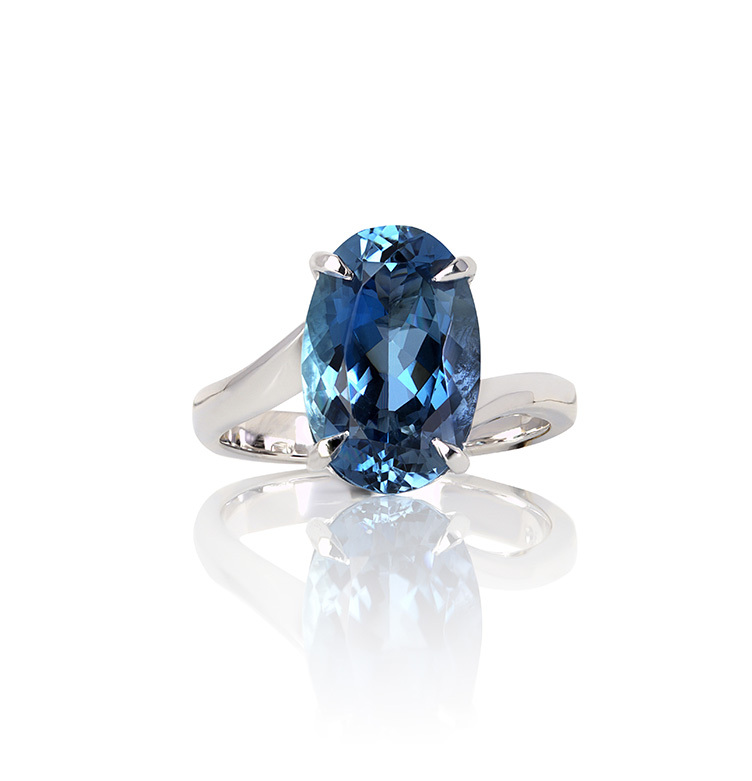 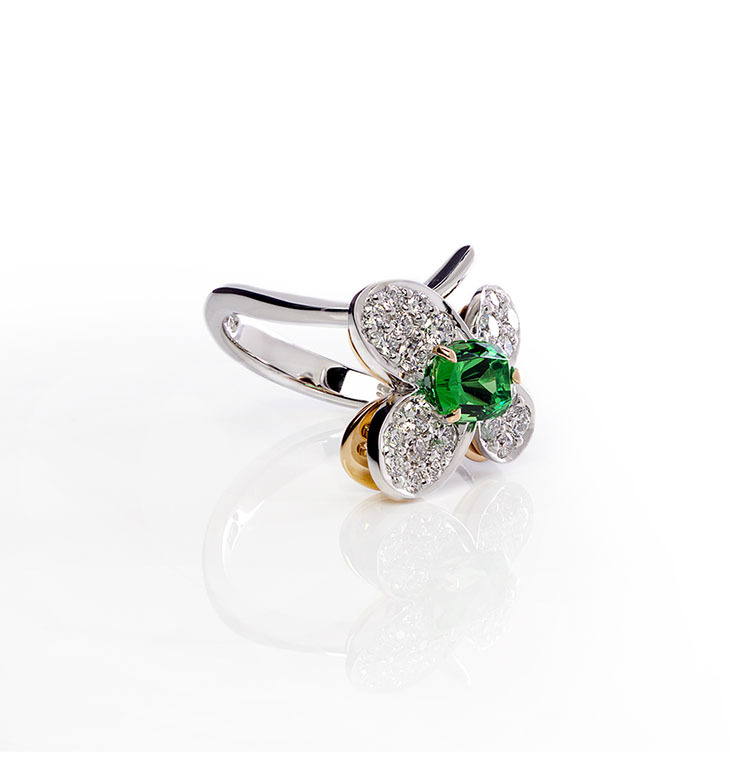 Discover more about our gemstones. 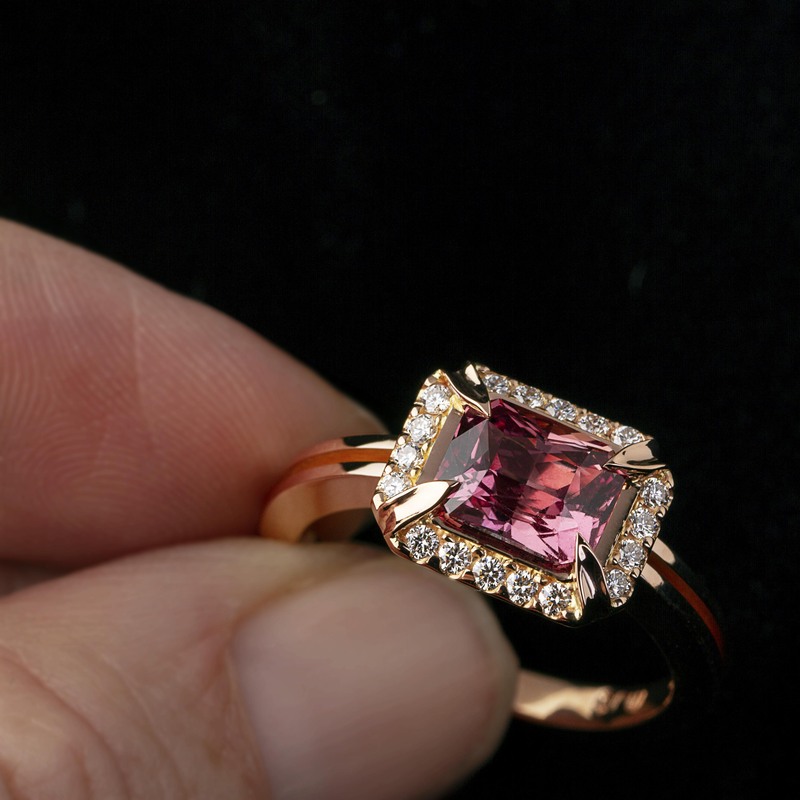 Custom handcrafted ladies 1.89ct Madagascan Cinnamon Sapphire Engagement ring. 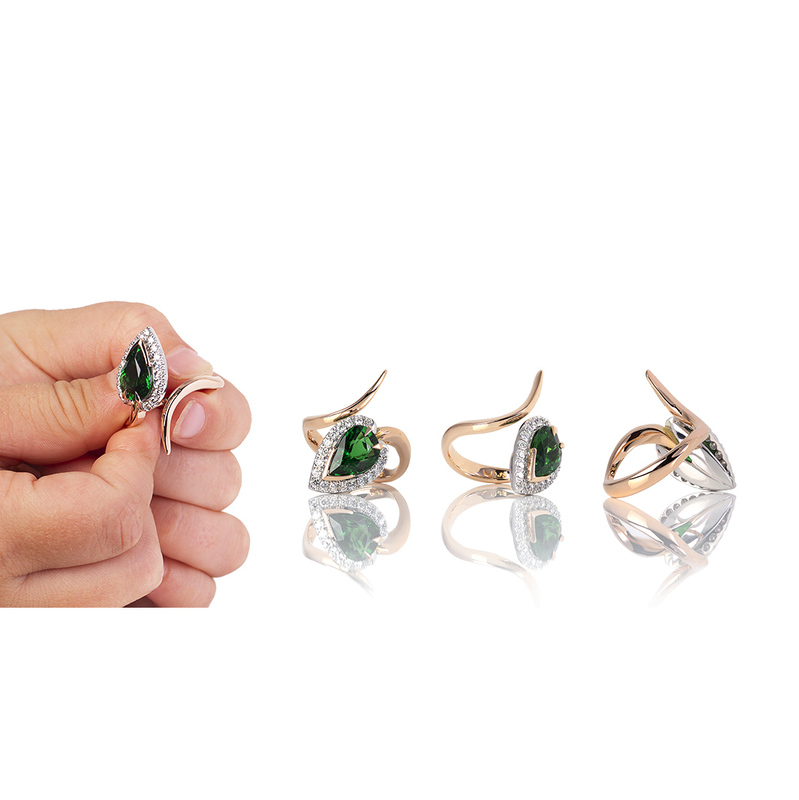 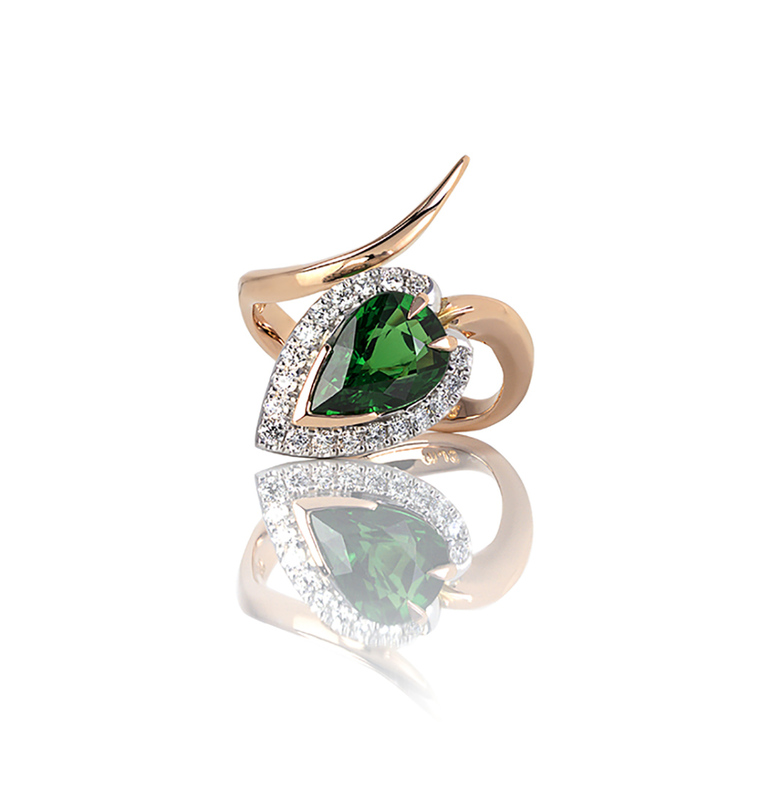 Handcrafted ladies serpent ring featuring a 3.1ct pear cut Tsavorite. 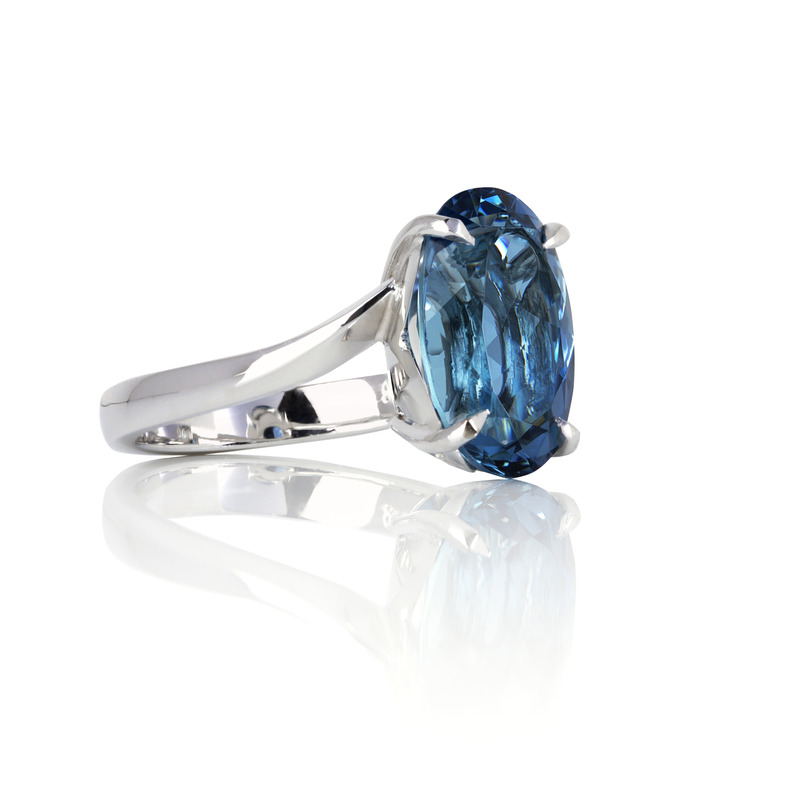 Bespoke Handcrafted ladies dress ring featuring a 4.35ct Santa Maria Blue Aquamarine ring handcrafted in 18ct white gold featuring a sculpted band. 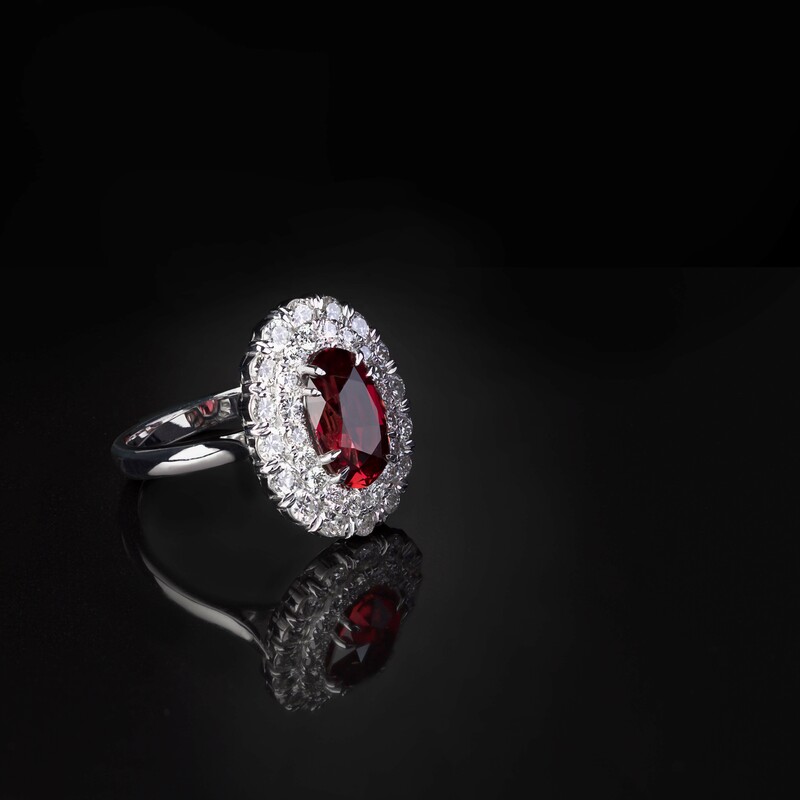 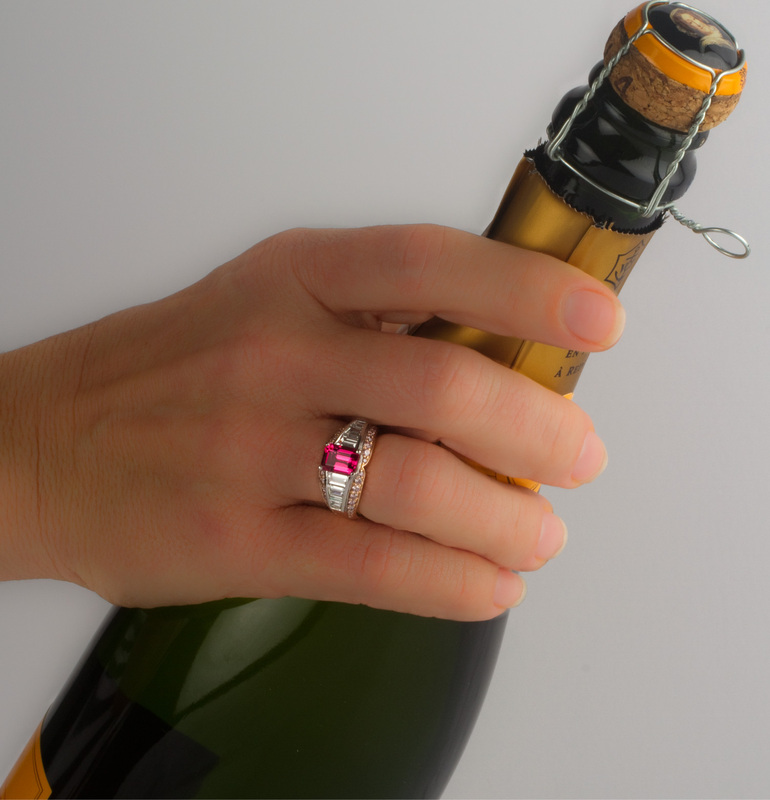 Handcrafted ladies ruby and diamond ring in 18ct white gold. 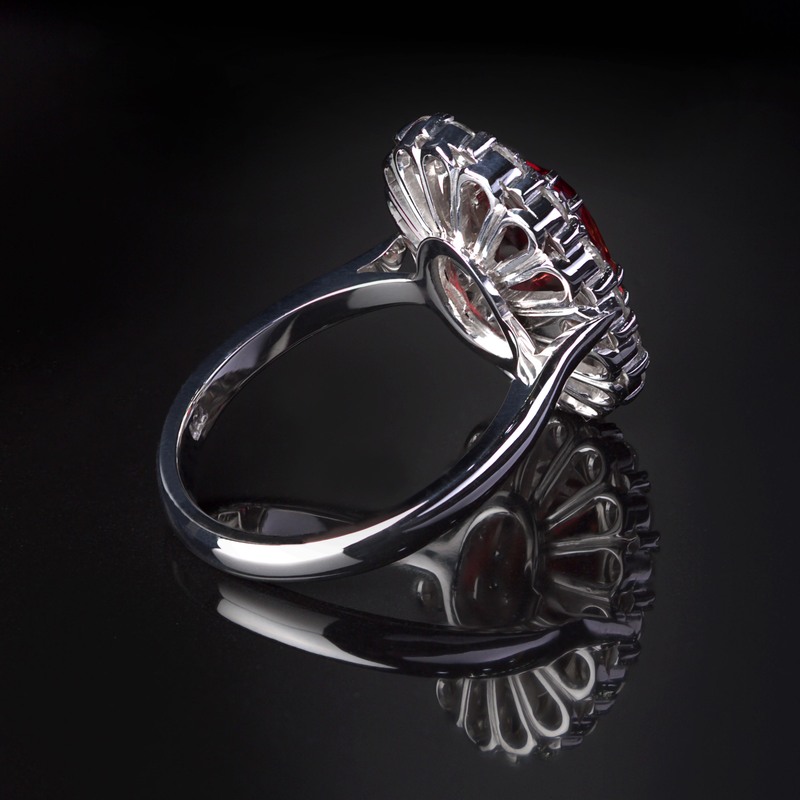 Handcrafted ladies "flutter" butterfly ring featuring a Tsavourite cushion cut 1.38ct handcrafted in 18ct white gold & rose gold. 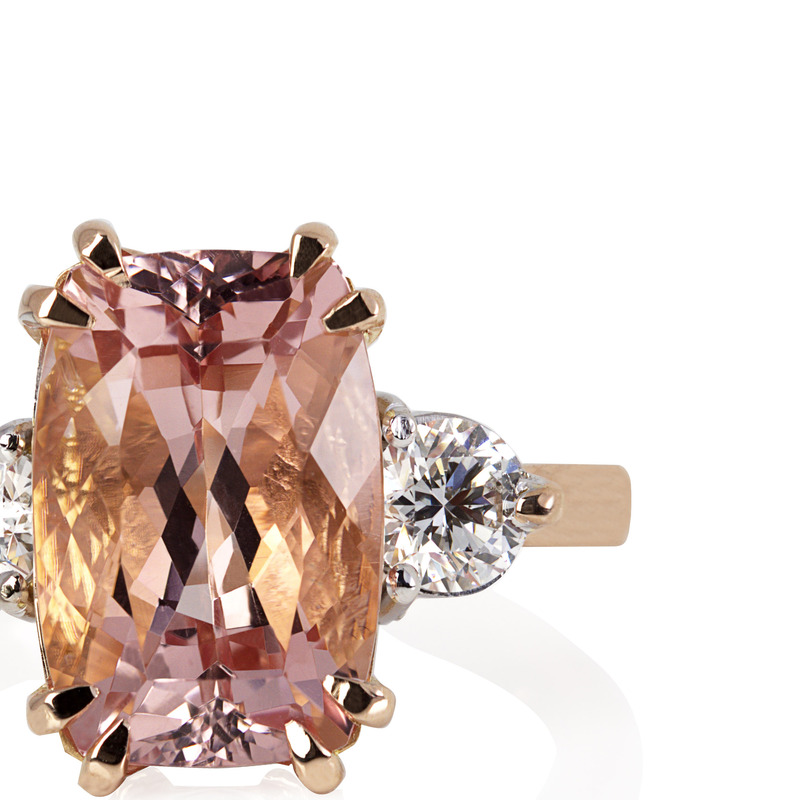 Handcrafted ladies rectangle cushion cut morganite set 18ct rose gold with diamond highlights. 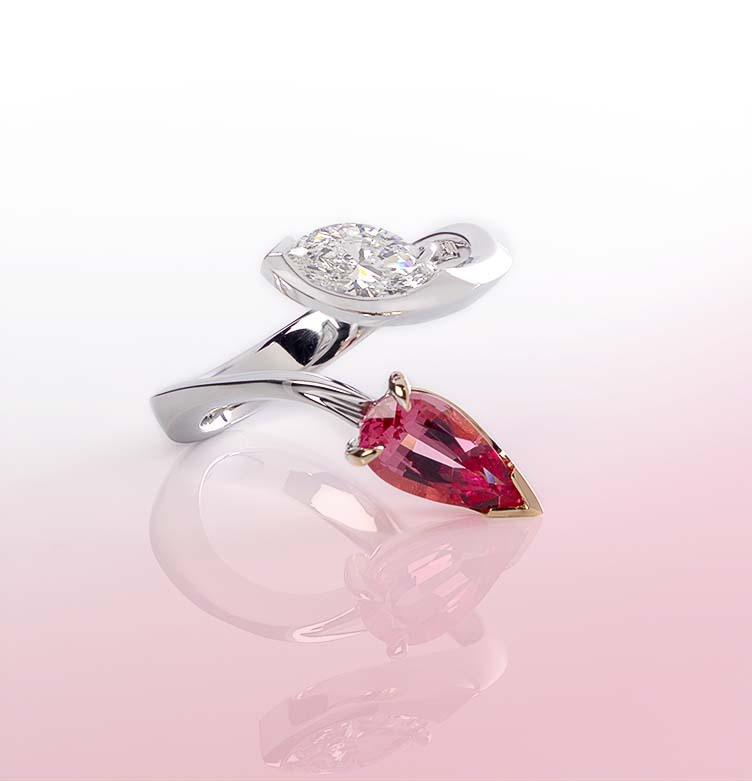 Bespoke Marquise diamond and Pink spinel tear drop ring handcrafted in 18ct white gold. 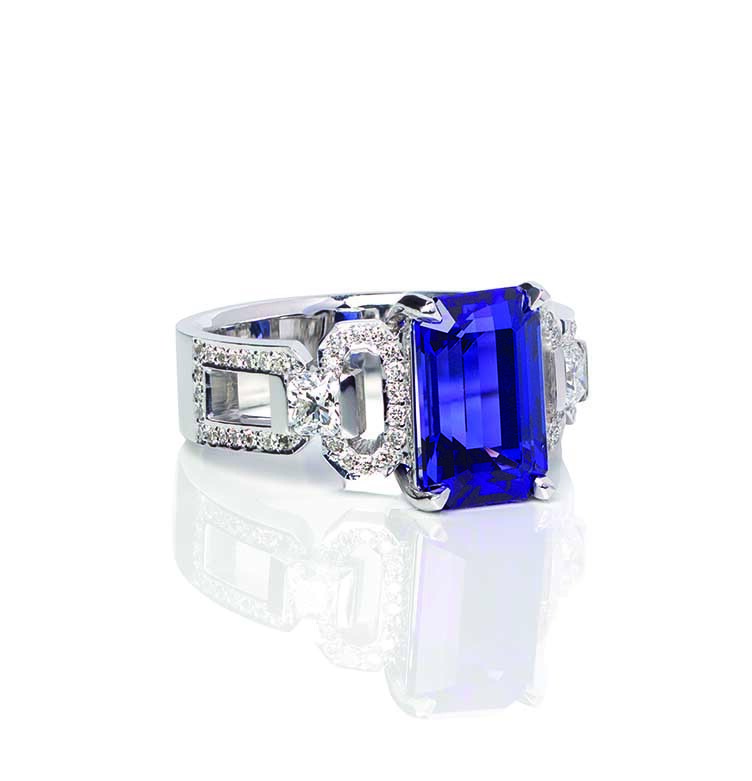 Bespoke 4.59ct Emerald cut Tanzanite Emerald cut and ideal square diamond ring handcrafted in 18ct white gold. 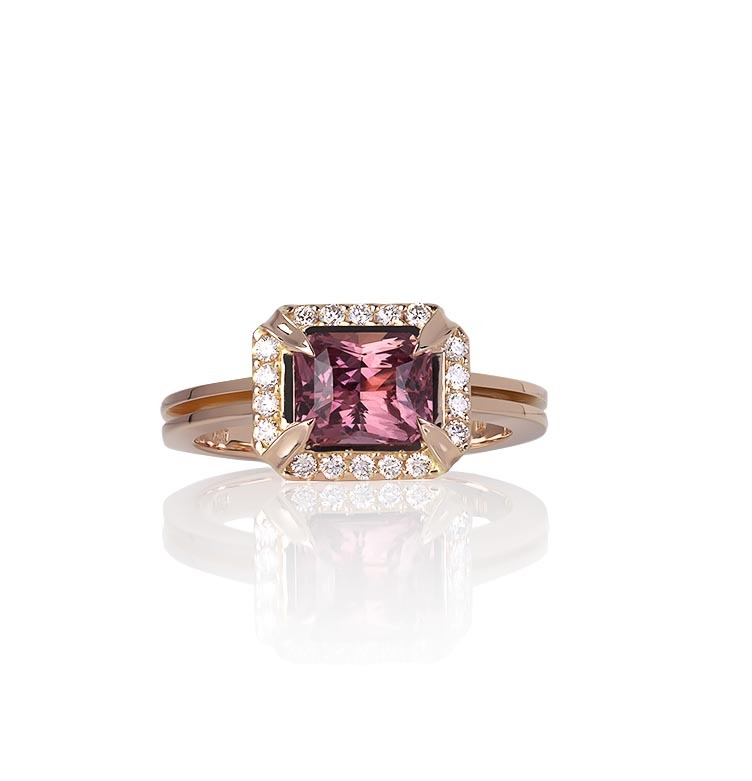 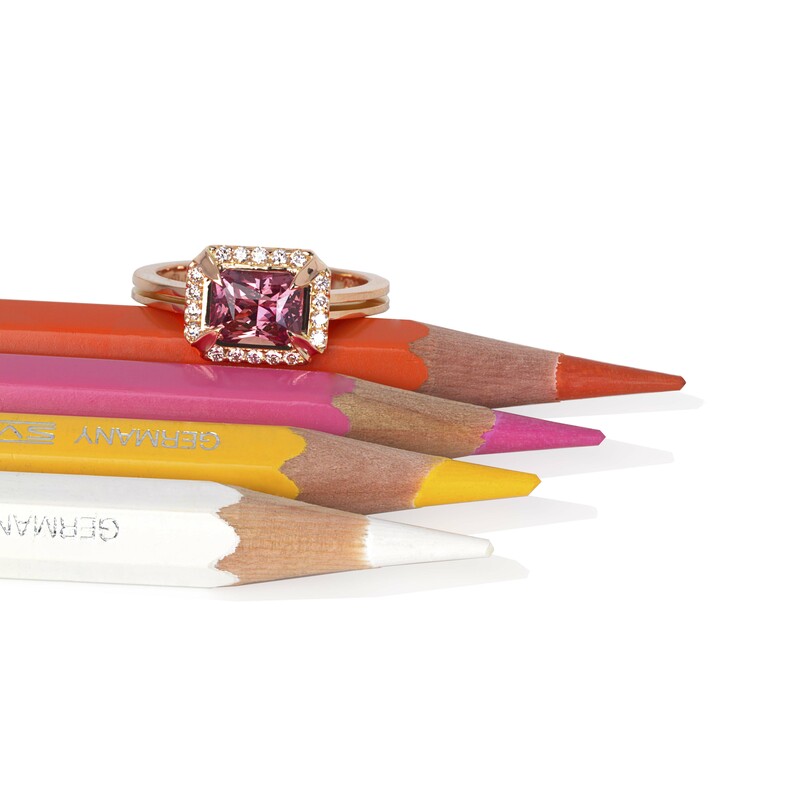 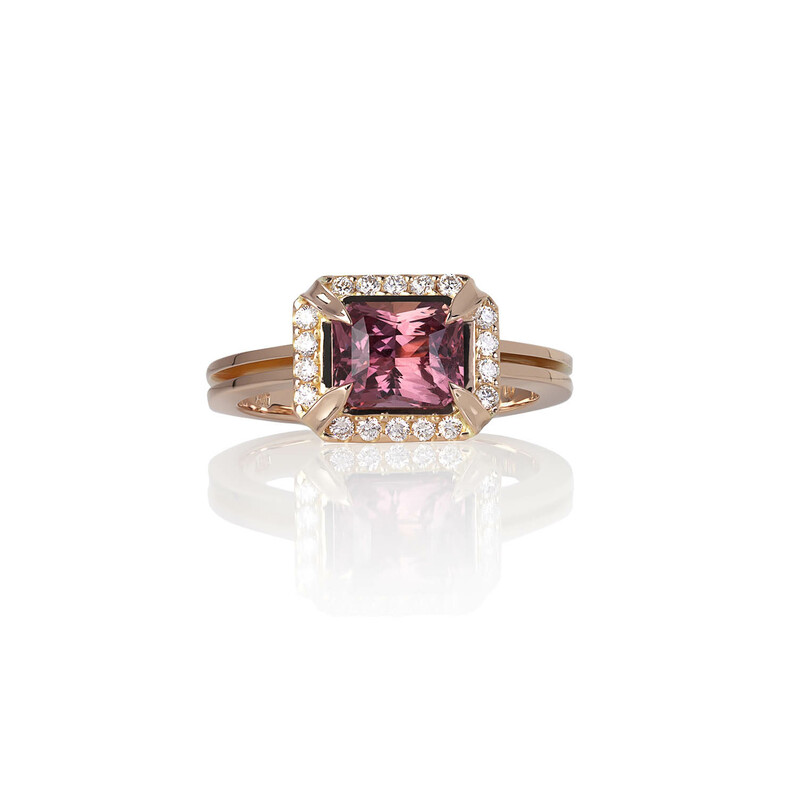 Emerald cut mahenge pink spinel ring featuring trapezoid baguette diamonds and argyle pink round brilliant cut diamond highlights, handcrafted in 18ct white and rose gold. 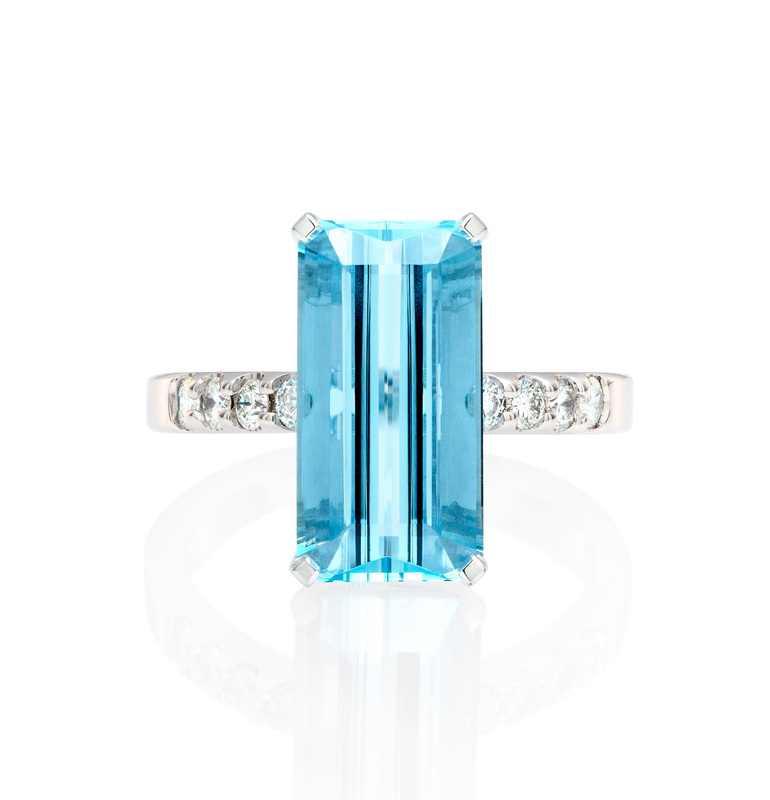 Emerald cut Aquamarine ring featuring diamond highlights, handcrafted in 18ct white gold. Square Emerald cut Aquamarine and Diamond ring handcrafted in 18ct white gold. 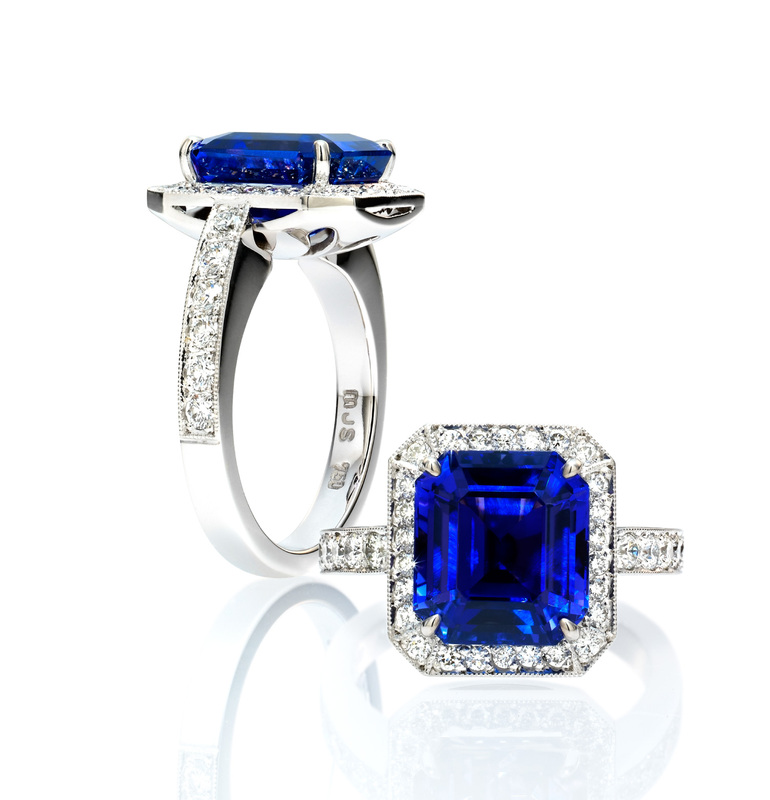 Emerald cut Tanzanite & Diamond ring, handcrafted in 18ct white gold. 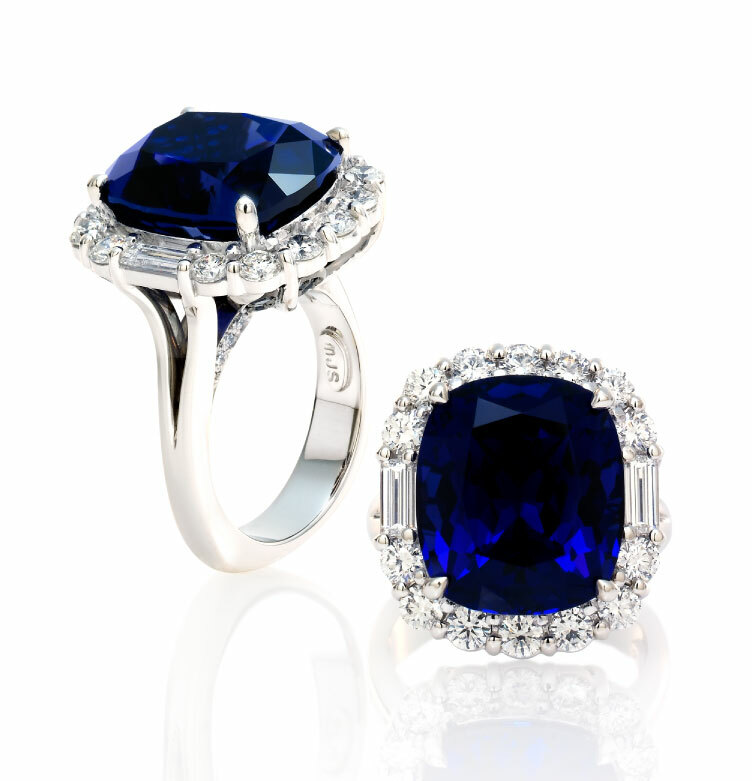 Tanzanite & Baguette Diamond ring featuring blue sapphires and diamond surrounds, handcrafted in platinum. 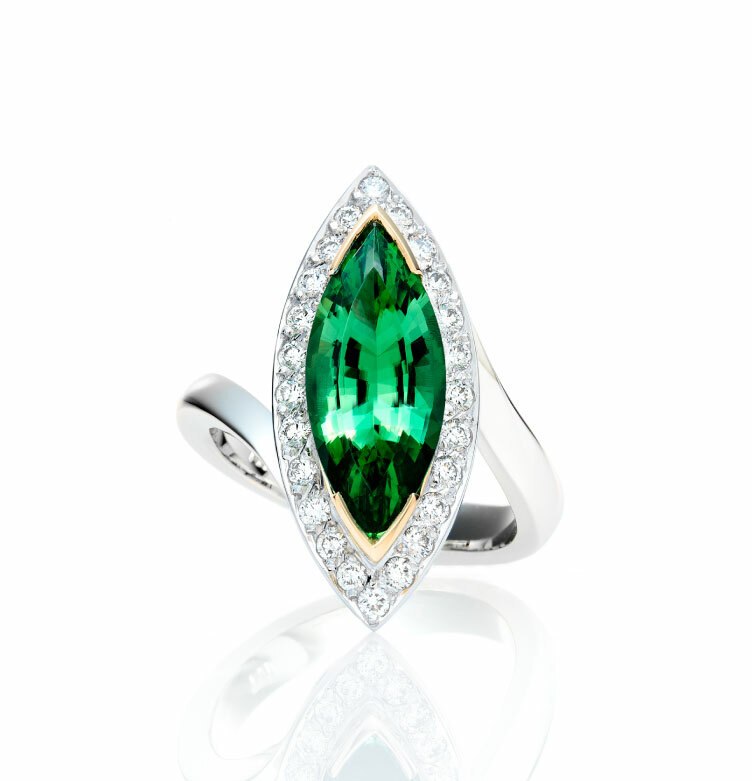 Marquise cut Chrome Tourmaline featuring diamond highlights, handcrafted in 18ct white gold. 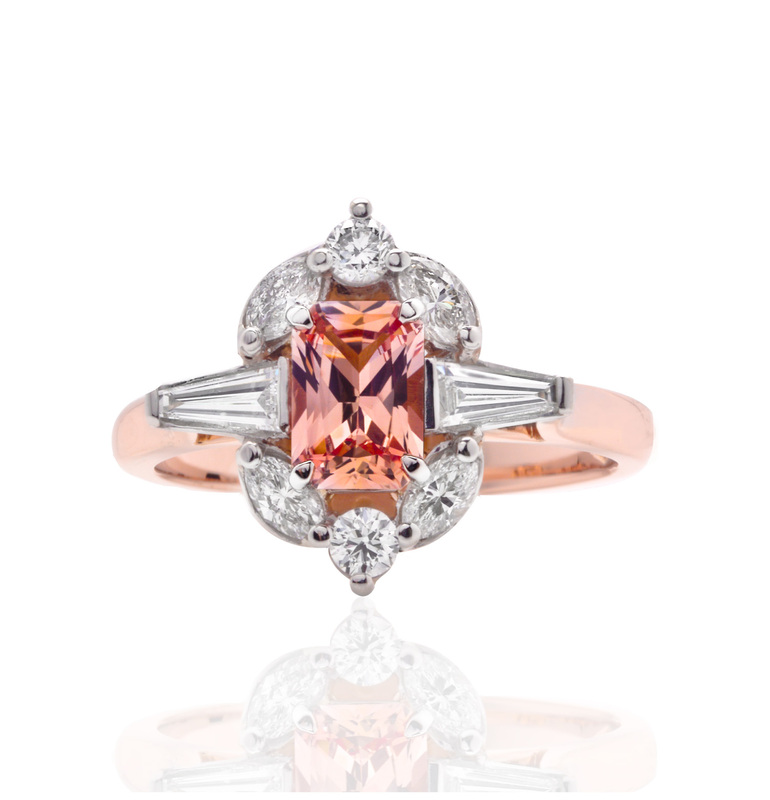 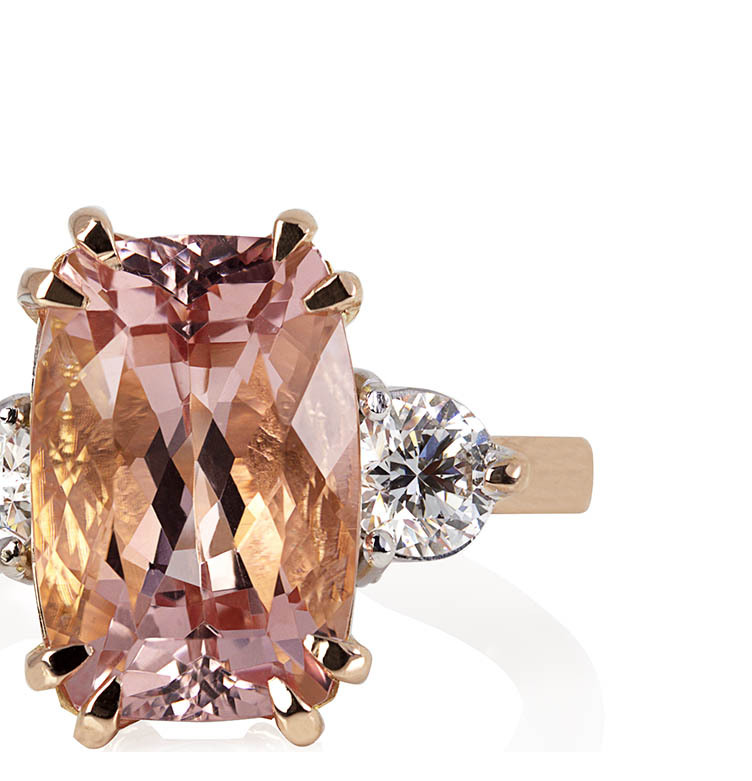 Natural Ceylon Sapphire that is a rare pink-orange-apricot in colour, handcrafted in 18ct Rose gold and Platinum. 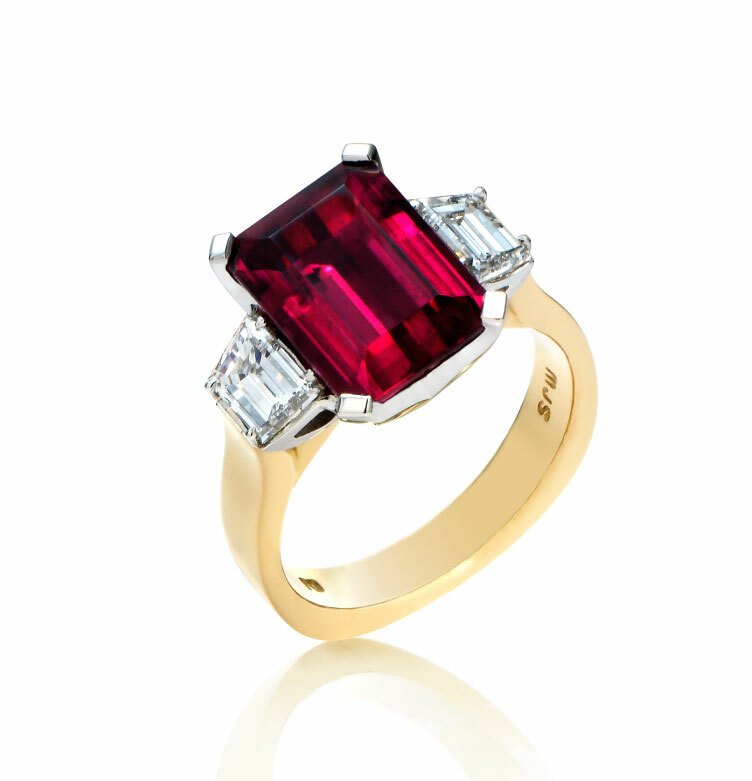 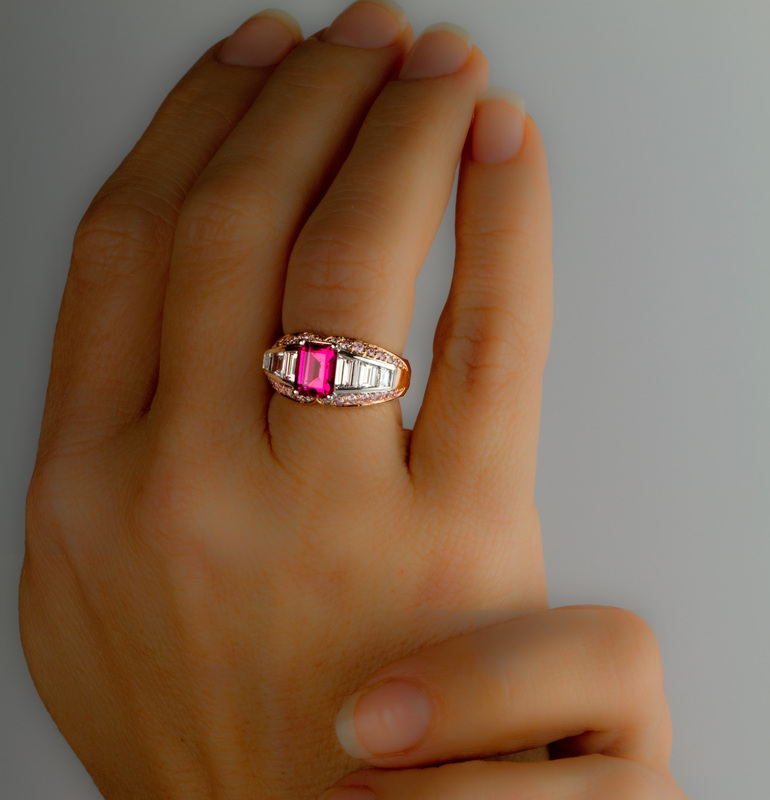 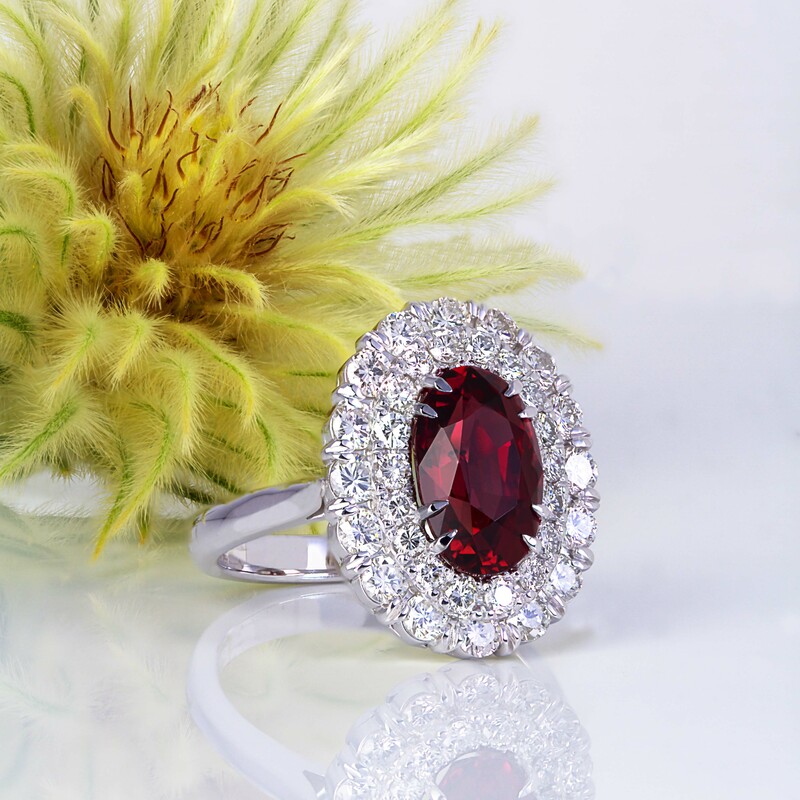 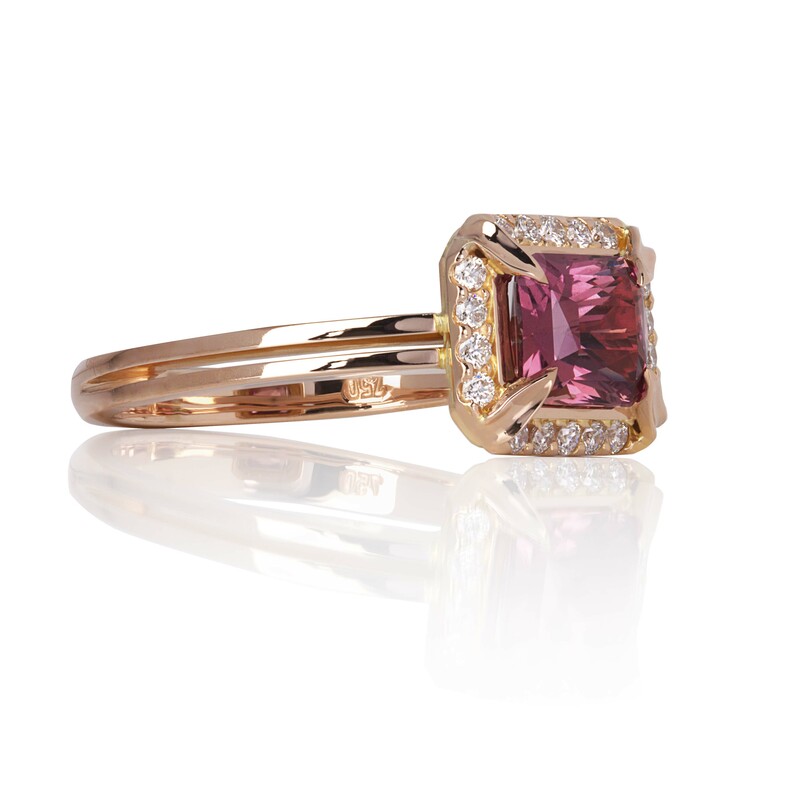 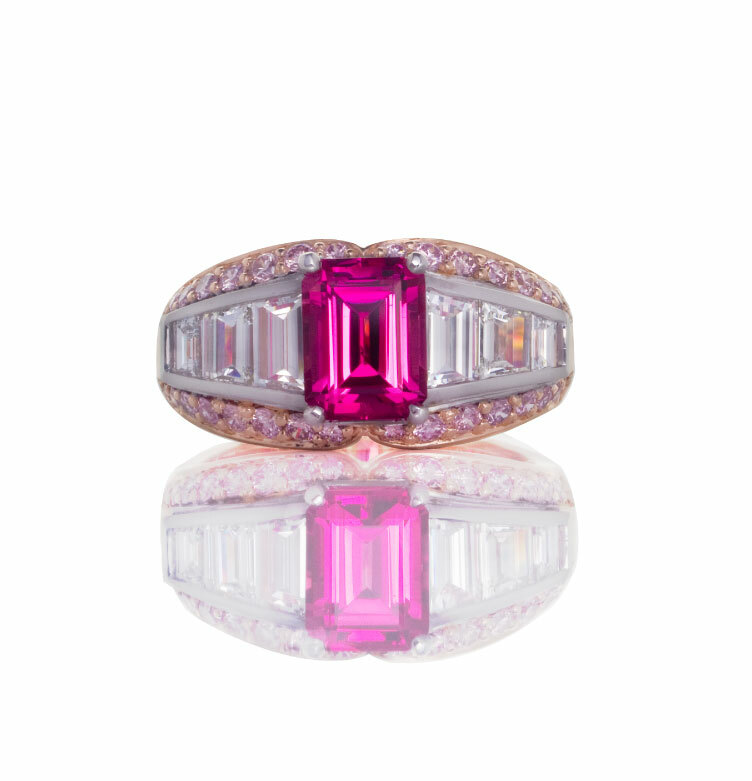 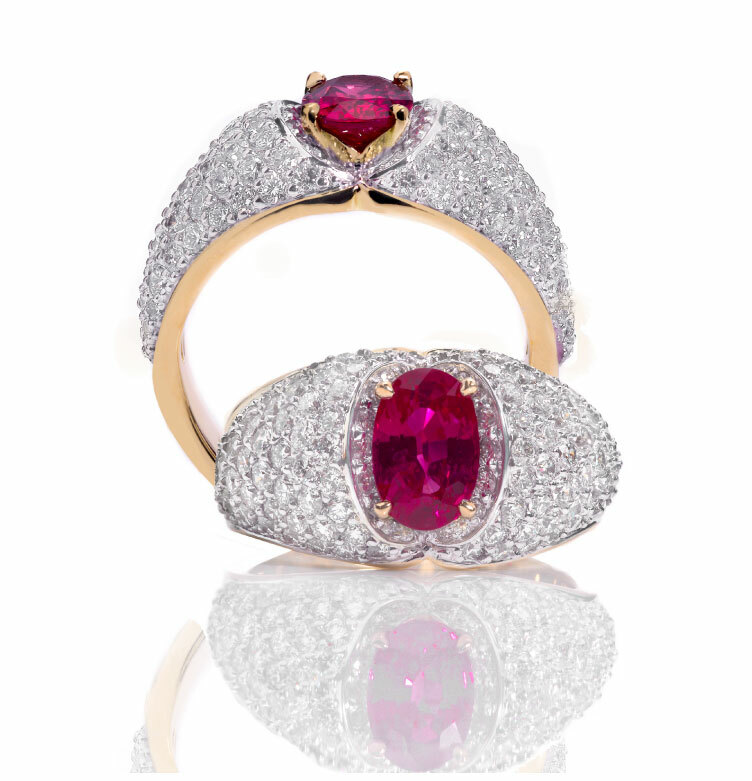 Oval Burmese Ruby and Diamond ring handcrafted in 18ct yellow and white gold. 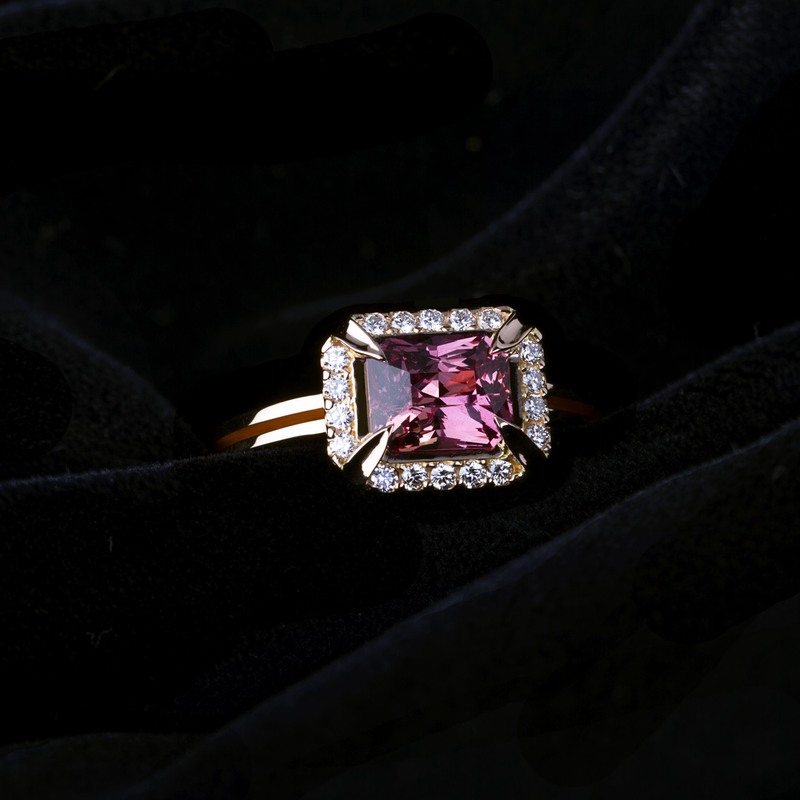 Emerald cut Rubelite and trapazoid Diamond ring, handcrafted in 18ct yellow gold and Palladium. Kite cut Golden Beryl ring featuring Burl Myrtle wood inlay, handcrafted in 18ct yellow gold. 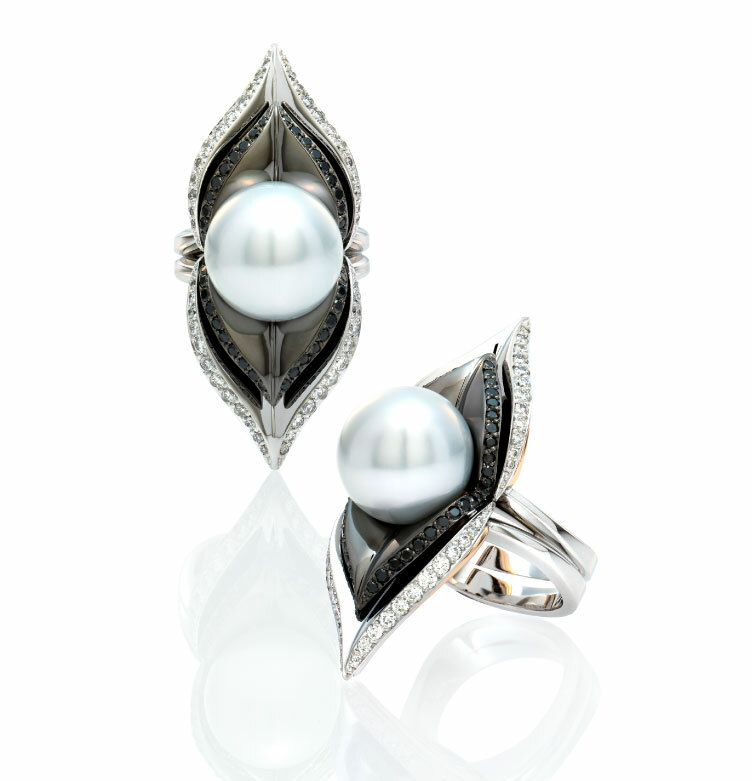 South Sea Pearl cocktail ring featuring black and white diamonds, handcrafted in 18ct white gold. 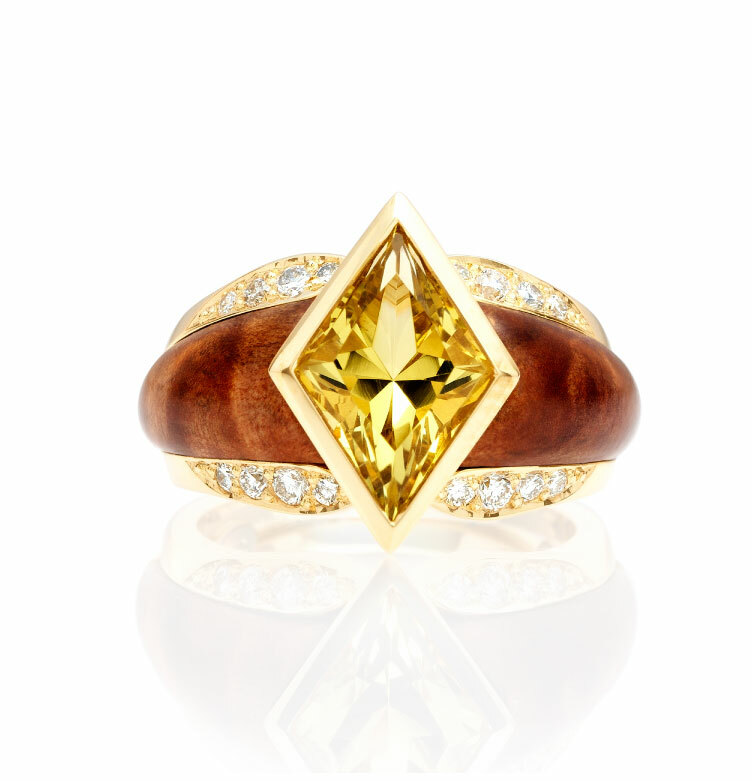 Fancy Intense Yellow Diamond ring handcrafted in platinum and 18ct yellow gold.